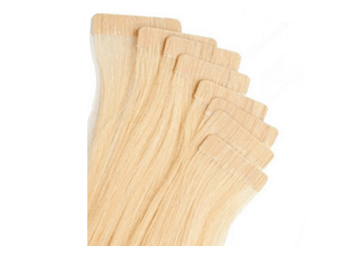 Louise Bailey is a leading hair extensions London specialist. 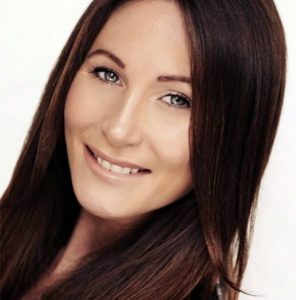 Louise Bailey is a hair extension industry expert based in central London, and the creative director of Extension Professional which offers a range of clip in hair extensions. She is a specialist in tape hair extensions and pre bonded keratin attachments. Highly sought after, Louise’s fair hands have crafted some of the heads of hair of many well know celebrity’s within the UK. Her client base is international with customers visiting her from all over the globe requesting her hair extension services. Based at Harrods hair and beauty salon in London, she is currently assisting in the roll out a new hair extension area with in store. Louise also works out of a location near Oxford Circus. Her work has been in an array of magazines including Harper’s Bazaar and Vogue. She offers a full service of hair colour and extensions working with a top international colour technician. 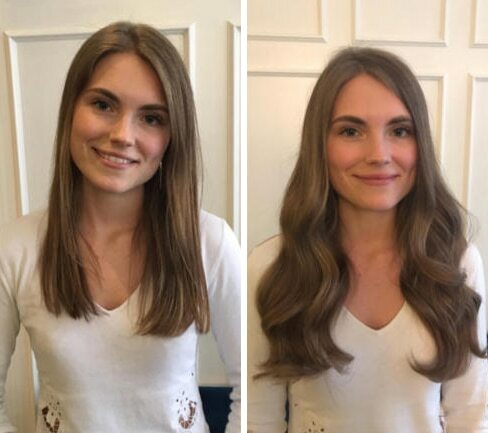 With her creative flair and talent Louise’s skill at applying extension makes her one of the top choices for bridal hair extensions in London. Recently Louise’s tape hair extensions were featured in Brides Magazine. 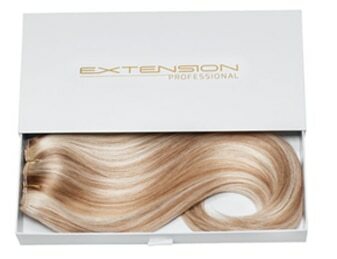 Louise Bailey is a hair extension industry expert based in central London, and the creative director of Extension Professional which offers a range of clip in hair extensions. She is a specialist in tape hair extensions and pre bonded keratin attachments. Highly sought after, Louise’s fair hands have crafted some of the heads of hair of many well know celebrity’s within the UK. Her client base is international with customers visiting her from all over the globe requesting her hair extension services. Based at Harrods hair and beauty salon in London, she is currently assisting in the roll out a new hair extension area with in the store. Louise also works out of a location near Oxford Circus. Her work has been in an array of magazines including Harper’s Bazaar and Vogue. She offers a full service of hair colour and extensions working with a top international colour technician. With her creative flair and talent Louise’s skill at applying extension makes her one of the top choices for bridal hair extensions in London. Recently Louise’s tape hair extensions were featured in Brides Magazine. Louise is always in pursuit of the best hair extensions, she has tried and tested many hair extension techniques and products over the course of her career. She uses the safest methods and products for her clients. Louise’s Mantra – that no two heads of hair are ever the same, means she offers a bespoke service to every client, striving to meet the needs of the individual. hair is an unbelievably personal thing, it is “Vanity’s proving ground!” she says. Her passion for her work shines through always putting the health of the natural hair first. Proud to use only the finest quality human European hair for her work. Louise works with different brands so she is able to deliver the client the best match to their natural hair. She is a big fan of internationally recognised Hair dreams “Quikkies”. Louise also loves and uses Richy Hair Extensions. Both brands she has assisted with marketing strategies and technical knowledge to make hair extension products better performing for the industry to offer to the world. These products combined with Louise’s expert application, blending, skill, and knowledge puts her at the forefront, making her one of the UK’s leading hair extension technicians. As a Member of the hair dressing council and a qualified Pttls teacher. Louise has built HABIA accredited hair extension courses which she has delivered to many hair dressers throughout the UK. BABTAC have also accredited one of her courses who are also provide her with her insurance. For the past 3 years Louise has been one of the four judges at the Hair Dressers Journal UK hair extension competition at salon international. As a Member of the hair dressing council and a qualified Pttls teacher. Louise has built HABIA accredited hair extension courses which she has delivered to many hair dressers throughout the UK. BABTAC have also accredited one of her courses who provide Louise with her insurance. For the past 3 years Louise has been one of the four judges at the Hair Dressers Journal UK hair extension competition at salon international.